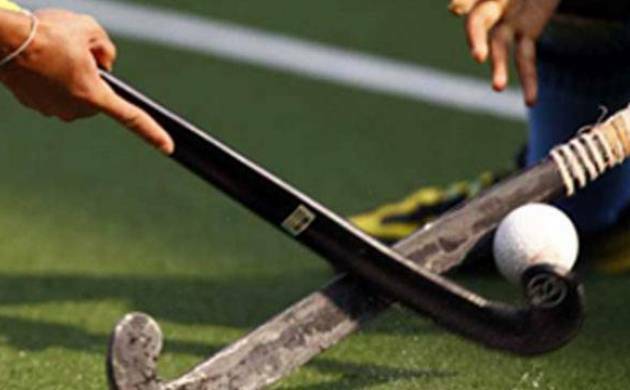 With a semifinal spot at stake, Uttar Pradesh Wizards and hosts Delhi Waveriders played a 1-1 draw in a crucial Hockey India League match on Sunday. The first quarter saw the Delhi Waveriders make a strong start with some excellent counter-attacking skills, creating a lot of chances with brave forays into the circle. They won two early PCs but Uttar Pradesh Wizards goalkeeper P.R Sreejesh was rock solid at the post as he made four important saves in the first 15 minutes of the match resulting in both teams going into the first break in a stalemate. Delhi Waveriders’ skipper Rupinder Pal Singh finally found a breakthrough when he converted his team’s third attempt at a PC in the 22nd minute. The ball, struck low and hard, beating Sreejesh to give them a 1-0 lead. Uttar Pradesh Wizards, though, were quick to earn a PC almost immediately but a miss trap seemed like they lost the opportunity. A quick-thinking Raghunath however asked for a foot foul through a video referral which went in their favour and earned his team their second PC. Uttar Pradesh Wizards eventually equalised through a penalty stroke in the 22nd minute which was successfully converted by Gonzalo Peillat. Though the Uttar Pradesh Wizards found an opportunity to take a 2-1 lead in the 26th minute through a PC, Peillat’s flick was far and wide from the post. The first half was dominated by the Delhi Waveriders with better ball possession but the Uttar Pradesh Wizards were clinical in their approach as they recorded more circle entries. The Uttar Pradesh Wizards came back stronger in the third quarter, dominating with the ball possession but Delhi Waveriders showed determination with good defence keeping their opponents from scoring. In the 41st minute, Delhi Waveriders won a PC but Sreejesh was in perfect nick when he padded away Rupinder Pal Singh’s strongly struck flick. Delhi Waveriders’ goalkeeper Vincent Vanasch too was kept busy throughout the quarter but he showed class with his alert goalkeeping skills. A thriller of a finish was in the offing as the score read 1-1 ahead of the final quarter. The Uttar Pradesh Wizards continued to dominate with the ball possession but the pressure caught on as a foul by Uttar Pradesh Wizards' Chinglensana Singh gave away a PC in the dying minutes of the match. But a poor trap denied Delhi Waveriders a goal and the match ending in a stalemate.